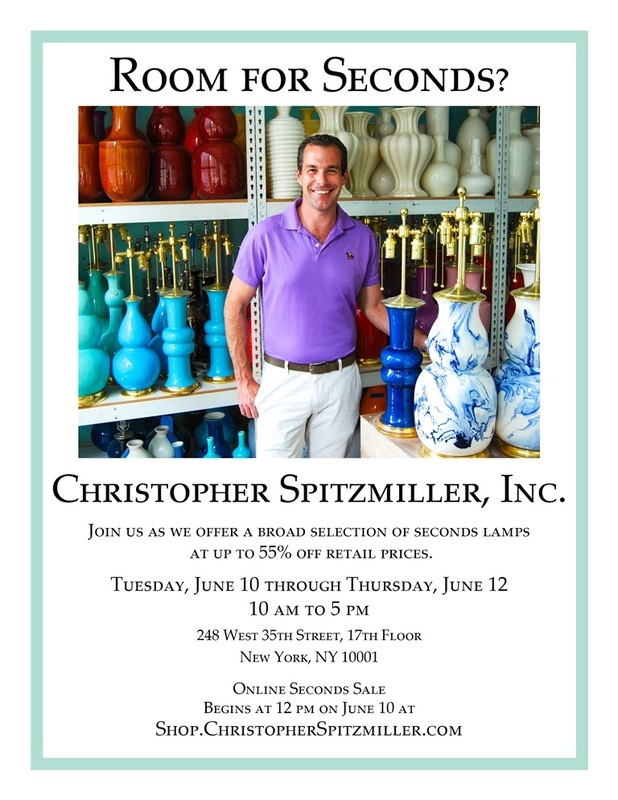 Summer means different things to different people, but to me, it marks the event that most of have been waiting for all year: Christopher Spitzmiller's Seconds Sale. I've said it before and I'll say it again- you can search every inch of your Christopher Spitzmiller seconds lamp, and you'll never find the minute imperfection that has rendered it a second. Believe me, I have tried, but to no avail. The sale starts next Tuesday, June 10 and runs through Thursday, June 12. For those of us who prefer to shop online, Christopher will sell the seconds selection via his website in addition to his studio. See above for more details. Thanks for the info! Friends were looking for colorful lamps in classic silhouettes.